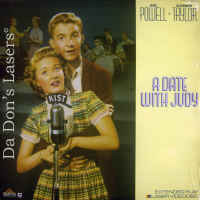 A Date with Judy 1948 - 114 min. 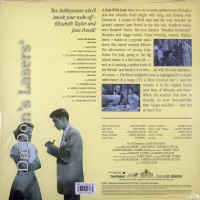 - Black and White Genre: Musical LaserDisc Movie Review: In this lightweight musical comedy, Judy Foster (Jane Powell) and Carol Pringle (Elizabeth Taylor) are teenagers and best friends who find their loyalties tested when they both fall for the same good-looking older man, Stephen Andrews (Robert Stack). This situation is particularly troublesome for Judy, who already has a boyfriend, "Oogie" Pringle (Scotty Beckett), Carol's brother. Meanwhile, the girls join forces for a little sleuthing when Judy discovers that her father, Melvin Foster (Wallace Beery), has been spending time with Brazilian bombshell Rosita Conchellas (Carmen Miranda). Judy and Carol suspect hanky-panky, but actually Melvin is taking dancing lessons from Rosita as a surprise for his wife. A Date With Judy certainly offers your only opportunity to see Wallace Berry dance the mambo, and it also features a guest appearance by Xavier Cugat and his band. --- Mark Deming A modest, unassuming little musical, A Date with Judy is the kind of featherweight piece of fluff that Hollywood routinely produced even into the 1950s. Chipper and perky to a fault, Judy is also one of the "teen-aged" viewpoint films (such as the Andy Hardy or Henry Aldrich series) that were also popular at the time. As might be gathered, the plotting is calculated and unbelievable --- but it's busy enough to keep things moving, and the structure of the piece holds up (even if much of the dialogue does not). Director Richard Thorpe keeps things appropriately light and breezy, never letting the plot bog down for too long at a stretch, and Stanley Donen's choreography is appropriately fast paced and occasionally imaginative. 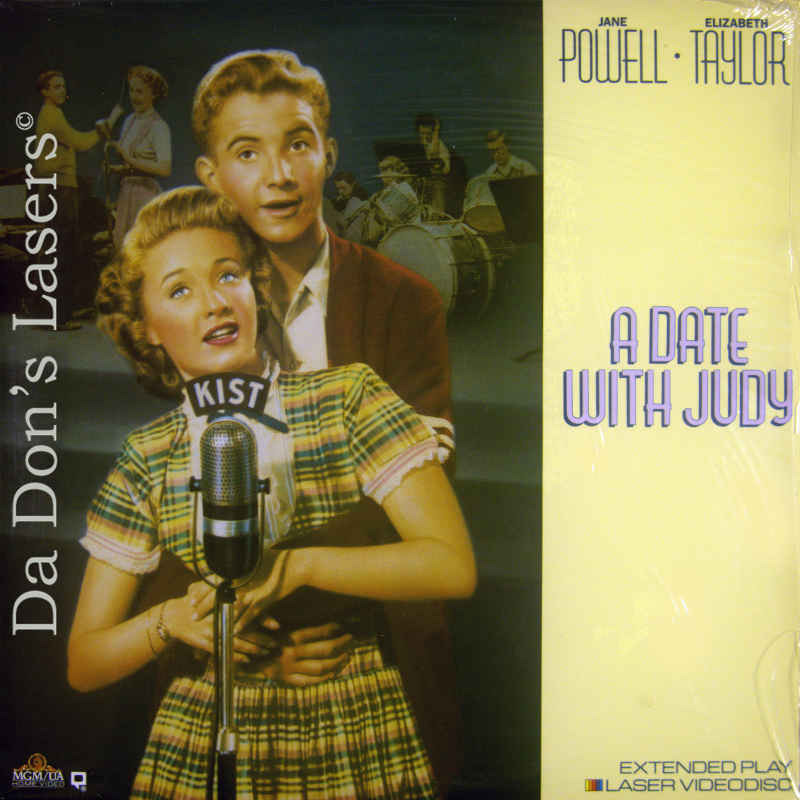 Jane Powell overplays the energy and cuteness, but her rendition of "It's a Most Unusual Day" is lovely. Elizabeth Taylor looks stunning and brings more conviction to her part than it deserves, and Wallace Beery is quite amusing and endearing. As usual, Carmen Miranda can be counted on to liven things up, and her "Cuanto Le Gusta" is quite diverting. Very dated in its attitude about girls and too inconsequential to amount to a great deal, Judy is still moderately entertaining on its own terms. --- Craig Butler Thanks for Visiting DaDon's Rare LaserDiscs ! Reviews, Articles, Newsletter and Information for Movies on LaserDisc LD Laser Disc, LazerDisc.